A lot of people underestimate the usefulness of apps for learning Portuguese. Not long ago, apps were really simple. Maybe you’d find a good phrasebook or a dictionary or some kind of game that sort of teaches you a little bit of the language. Nowadays though, you can learn just about every aspect of the language from an app. This is equally true whether you want to grow your vocabulary, improve your listening comprehension, work with a tutor or language exchange partner, find reading materials to suit your level, or are looking for a course that you can easily access from your phone as you go about your life. Basically, regardless of your needs, there’s an app for it. Okay, that’s not quite true, but it almost is. 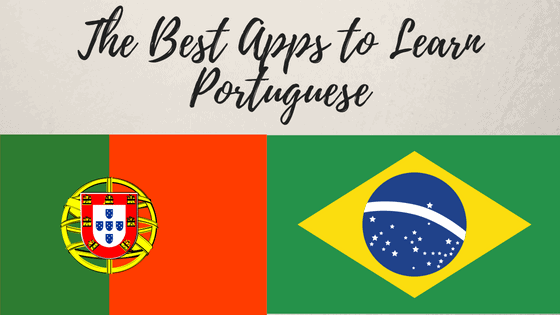 This list will take a look at over 25 useful apps for learning Portuguese. These apps will be loosely organized based on the following topics. There will be a fair amount of overlap as most apps won’t neatly fit into one category. Let’s get started and see the apps that are really more like courses first. In this day and age, there are a plethora of different learning resources available to us online and in recent years podcasts have proliferated with their quality and content getting better all the time. Depending on how you like to learn a language, a Portuguese podcast could really help you to achieve your learning goals and, while there are maybe not as many podcasts in Portuguese as in other languages; there are still some fantastic resources out there which are worth checking out. 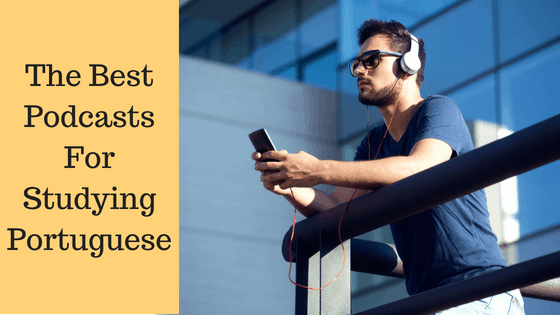 Before we have a look at some of the best podcasts out there, why is it a good idea to give them a go and how can you best make use of them to learn Portuguese? To give you an idea of what is out there, below you will find both Brazilian Portuguese and European Portuguese podcasts for you to explore. Summary: Glossika has learning resources for over fifty languages that impressively range from Armenian and Czech to Icelandic and Tagalog. While it is amazing that so many languages are included, learners would have to use numerous other resources alongside it. The cost is unjustifiably high. There are lots of languages available, including many that are rarely covered by other resources. The subscription gives you access to all of the languages making it possible to study one language and review another at the same time. It will force you to speak the language which will improve your confidence and prosody. As all of the languages cover the exact same material, the diversity of the languages and cultures are reduced to a simple formula with no cultural context involved in their teaching. There are a fair amount of errors in the materials. The cost is excessively high compared to other resources. There are no explanations of grammar. Price: You can try out Glossika´s learning method for free with their week-long trial. The monthly subscription costs $30 a month. The annual subscription costs $24.99 a month and will set you back 299.88$ in total. Click the link below to save $5 on a subscription to Glossika. Alternatives: Speechling does much of what Glossika can do for free. In addition, for a lower monthly fee, you can get unlimited corrections on your pronunciation. Unfortunately, they offer far fewer languages compared to Glossika. For those learning Italian, I’d recommend Ripeti Con Me. The course style is very similar to Glossika but it improves upon a lot of Glossika’s weaknesses.